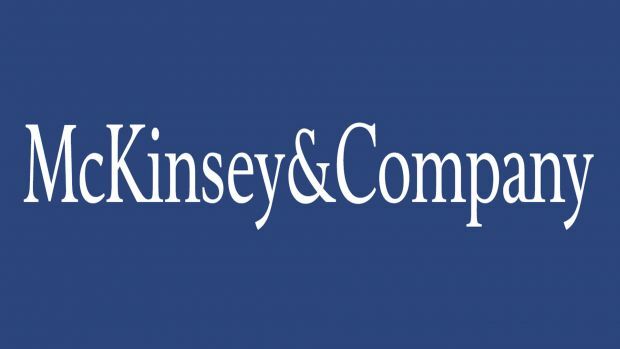 McKinsey & Company Young Leadership Programme 2018 Fellow – Nigeria, Kenya & Ethiopia. in Fellowships, Kenya & Ethiopia., McKinsey & Company Young Leaders Programme Fellow - Africa Delivery Hub, McKinsey & Company Young Leaders Programme Fellow - Lagos, McKinsey & Company Young Leadership Programme 2018 Fellow - Nigeria, McKinsey & Company Young Leadership Programme 2018 Fellow – Kenya, McKinsey's Africa Delivery Hub, Young Leaders Program (YLP)., Young Leaders Programme for the Africa Delivery Hub (ADH). You’ll work in the Lagos office as part of the Young Leaders Program (YLP). This is an internship open only to Nigerians doing their mandatory national youth service (NYSC). Interns work as integral members of our teams, experiencing McKinsey life firsthand. The Young Leaders Program helps to develop exceptional young local African talent into real leaders. At the end of the program, high-performing Fellows may receive an offer to join McKinsey as a full-time consultant. You’ll work in the Nairobi office and you may also get an opportunity to work in other offices across Africa.The Young Leaders Programme (YLP) is a two- three year programme that develops exceptional young local Kenyan talent into real leaders. You’ll work as part of a client project team, collaborating with colleagues and clients to solve their toughest business problems. At the end of the programme, high-performing Fellows will receive an offer to join McKinsey as a full-time consultant. You’ll gain new skills and build on the strengths you bring to the firm. Young Leaders receive exceptional training as well as frequent coaching and mentoring from colleagues on their teams. This support includes a Partner from your local office or practice assigned to you to help guide your career as well as formal training in your 2- 3 years. Additionally, you’ll receive guidance and support from your local office in the selection of client projects, helping you to develop your skills and build your network. You’ll work in our Addis Ababa office as part of the Young Leaders Programme for the Africa Delivery Hub (ADH).McKinsey’s Africa Delivery Hub helps governments and social-sector institutions to address complex public and social challenges. Our purpose is to drive significant, tangible, and lasting improvements in service delivery to African citizens. We work to support high-performing schools, effective health systems, improved infrastructure, reliable power supplies, efficient food production, increased investment, and economic growth. The Young Leaders Program (YLP) is a two year full time consulting program that develops exceptional young local talent into real leaders. You’ll work in teams of typically 3-5 consultants, playing an active role in all aspects of the client engagement. At the end of the program, high-performing Fellows progress into a PSS Analyst role in ADH. You’ll collaborate with colleagues and clients to solve their toughest business problems. This includes gathering and analyzing information, formulating and testing hypotheses, and developing and communicating recommendations. You’ll also have the opportunity to present results to client management, and implement recommendations in collaboration with client team members. In this role you will gain new skills and build on the strengths you bring to the firm. Young Leaders receive exceptional training as well as frequent coaching and mentoring from colleagues on their teams. This support includes a Partner from your local office or the practice assigned to you to help guide your career as well as formal training in your 2- 3 years. Additionally, you’ll receive guidance and support from your local office in the selection of client projects, helping you to develop your skills and build your network. Tags: FellowshipsKenya & Ethiopia.McKinsey & Company Young Leaders Programme Fellow - Africa Delivery HubMcKinsey & Company Young Leaders Programme Fellow - LagosMcKinsey & Company Young Leadership Programme 2018 Fellow - NigeriaMcKinsey & Company Young Leadership Programme 2018 Fellow – KenyaMcKinsey's Africa Delivery HubYoung Leaders Program (YLP).Young Leaders Programme for the Africa Delivery Hub (ADH).